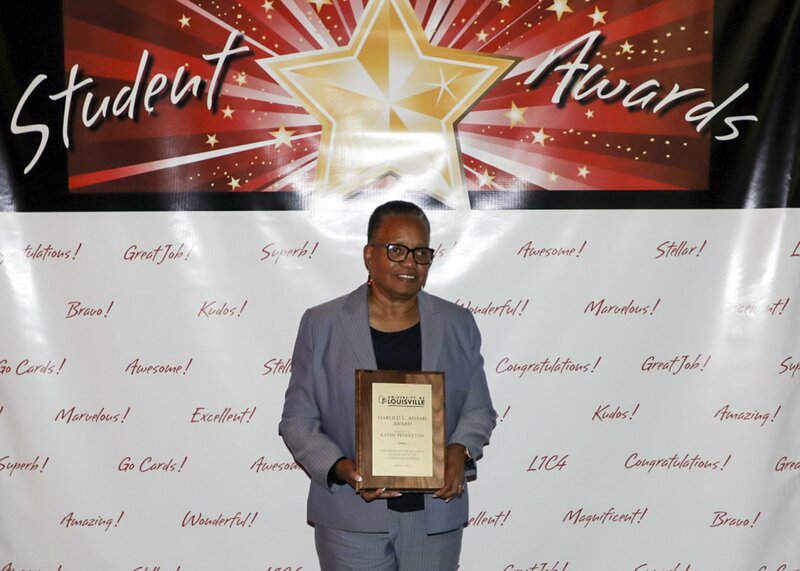 Dr. Pendleton embodies the characteristics for a recipient of the Harold Adams Award; she is dedicated to student success and committed to providing outstanding service to students in need. In the various positions Dr. Pendleton has held at the University of Louisville, she has given much back to the University community, students, faculty, and staff. She has provided countless students with assistance as they navigate difficulties and supports those students as they look for resolutions to those challenges. She recognizes the ability of a student and pushes them to succeed. I believe that Dr. Kathy Pendleton is an excellent candidate for the Harold Adams Award. Her compassion and care for students is impactful and I am certain she has made a difference in the lives of University of Louisville students. Dr. Pendleton is a true advocate for our students at the University of Louisville and embodies the principles and mission of the University of Louisville. I had the honor of working with Harold Adams when he was Dean of Students. He helped me when I was student and Kathy has been there for me in the same way. The Harold Adams Award, sponsored by the Dean of Students Office, is a memorial tribute to Harold “Butch” Adams, 1963 UofL graduate, Assistant VP for Student Life 1977. Created in 1989 along with the endowed Harold Adams Memorial Scholarship Fund, through generous contributions from family, friends and colleagues to remember Harold’s devotion to students, it serves as a tribute to his enrichment of the lives of people around him, his nurturing nature to students, and his great care and concern for every phase of students’ educational experience. Harold’s attitude, sense of unselfishness and constant concern for the enrichment of student life will always be remembered. The Harold Adams Award is awarded to the individual who best meets the qualities and spirit always demonstrated by Harold Adams.